History, industry, agriculture, and the arts all converge in Rockford, Illinois. Rockford is a beautiful historic city located on both sides of the Rock River in Northern Illinois. 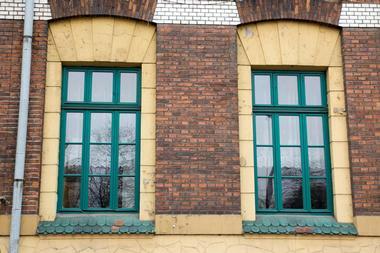 Though Rockford’s history is primarily industrial, the city has a reputation for preserving and promoting the arts. Visitors to the “Forest City,” as it is sometimes called, will find many museums, preserved homes, and gardens as well as shopping, restaurants, parks, and more. The following list contains some can’t-miss destinations for those travelling to Rockford. 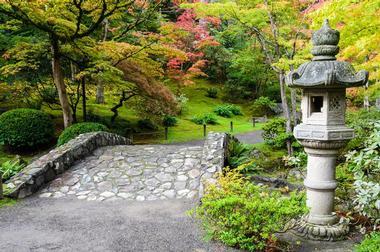 The Anderson Japanese Gardens provide a quiet place for reflection and relaxation for visitors to Rockford. The gardens have been carefully designed and constructed using elements of stone, water, plants, pagodas, bridges, water basins, and more. All elements work together to inspire calm and tranquility in guests. The gardens are open daily, and guests may tour the gardens at their leisure. Guided tours are also available for groups of eight or more. In addition, special events such as classes, lectures, and concerts are held throughout the year. The on-site restaurant, Fresco on the Gardens, serves breakfast and lunch daily. 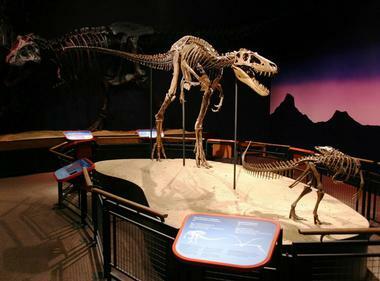 The Burpee Museum of Natural History provides four floors’ worth of interactive science exhibits. Their mission is to educate and inspire both children and adults to learn about the natural world. Exhibits include real dinosaur skeletons, a replicated carboniferous coal forest, and displays depicting the life of the indigenous residents of northern Illinois. Workshops, summer camps, and special events for school groups, homeschool students, and scouts are provided by the museum. Auditoriums and classrooms are also available for rental. The museum is open all year round, Tuesday through Sunday from 10:00am to 5:00pm, and is closed on major holidays. 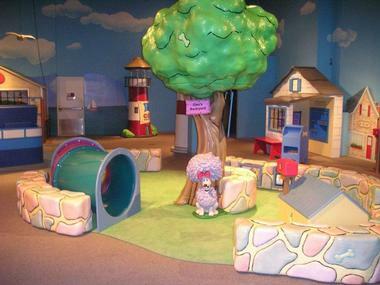 The Discovery Center Museum is often regarded as one of the best children’s museums in the country. The museum contains over 300 science and art exhibits, most of which are hands-on. Kids can learn about air and flight, electricity, simple machines, transportation, color, and light. They can explore the universe at the museum’s planetarium show or play outside on the adjacent Rock River Discovery Park playground. The museum offers many special events such as classes, teacher workshops, and summer camps and is available for rental for parties and group events. The Discovery Center is open daily from 10:00am to 5:00pm. 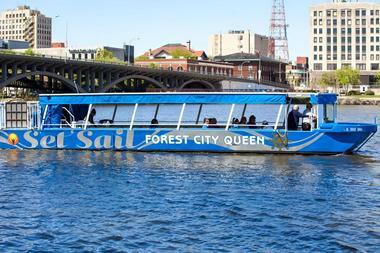 See Rockford from the water aboard the Forest City Queen Riverboat. The Queen has been in service since 1979 and offers tours daily throughout the summer and fall. Guided tours are given hourly starting at noon, last approximately 45 minutes, and take visitors down the Rock River. There they will see some of the homes and businesses of Rockford, and learn about the history of the town. Special breakfast, lunch, or dinner cruises are available at various times throughout the season. The boat holds a maximum of 49 passengers and can also be rented for group events. 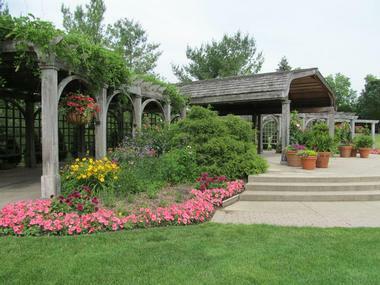 Visitors to the Klehm Arboretum and Botanic Garden will find more than just flowers. The property contains eight separate gardens, 1.8 miles of paved trails, and 2.5 miles of easy woodland trails. Guests can stroll through the grounds at their leisure or take a guided tour aboard the Klehm shuttle bus. Gardens include the Nancy Olsen Children’s Garden, the Rhododendron and Azalea Dell, a water fountain garden, ornamental grass garden, and a peony garden. There is even a large vegetable garden that provides food for local food pantries. The gardens are open daily from Memorial Day to Labor Day and are closed Sundays during the fall and winter. Built in 1873, the Lake-Peterson House is one of the most important homes in Rockford. This two-story structure is considered one of the best examples of Victorian Gothic Revival-style architecture in the state of Illinois. It is listed as an Illinois State Historic Site and is on the National Register of Historic Places. The Lake-Peterson House is owned by the Swedish American Hospital in Rockford and was preserved by the Jenny Lind Society in 1973. It can be viewed from the outside, but inside tours are prohibited at this time. 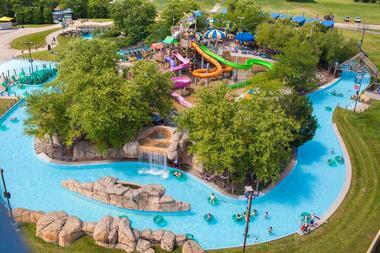 Magic Waters is the perfect place to beat the summer heat in Rockford. This large water park offers a variety of slides, water rides, and attractions for children to adults. Young children can splash and play in the Little Lagoon, while older kids and adults can get their thrills on the 75-foot Double Dare Drop slide or zoom down The Abyss, a dark tube slide. A large wave pool and a relaxing lazy river are also part of the park. Food and drinks are available at any of the park’s four concession stands. Locker and cabana rentals are also available. History comes to life at the Midway Village and Museum Center. This 146-acre campus contains the 15,000-square-foot Museum Center, which showcases the history of Rockford and the surrounding area. Exhibits are dedicated to the agricultural, industrial, and sports history of the city. Also on the property is the Victorian Village, which contains 26 historical buildings that depict life in Rockford at the beginning of the 20th century. During the summer months, on-site interpreters in period costumes take guests on guided tours of the village. The Midway Village and Museum Center is open all year round. Hours vary by season. Visitors to Rockford can experience the tropics at the Nicholas Conservatory. 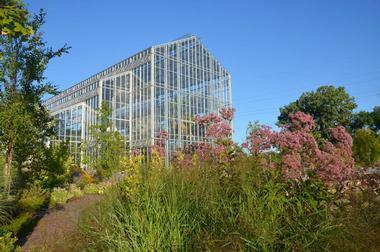 This 11,000-square-foot facility contains exhibits of orchids, butterflies, papaya, sugarcane, and more. Outdoors is the large Sinnissippi Park Rose Garden and the 500-foot-long Eclipse Lagoon. The gardens are the perfect place for a leisurely stroll in the summer. During winter, the lagoon is frozen and public ice skating and ice hockey are offered. Lunch is available at the on-site restaurant, the Hibiscus Bistro, and souvenirs can be purchased in the gift shop. The conservatory is open all year round, Tuesday through Sunday, and is closed on Mondays. 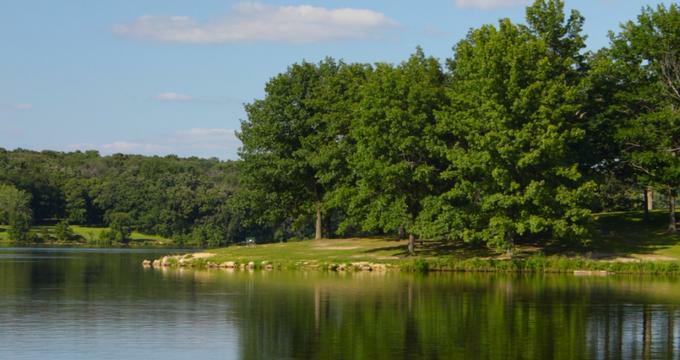 Located approximately 10 miles northeast of Rockford, Rock Cut State Park is an excellent place to enjoy nature all year round. 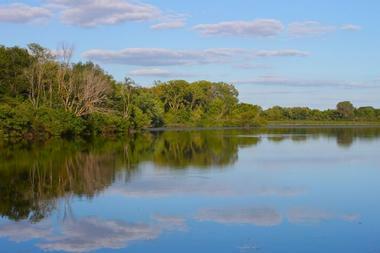 The park covers over 3,000 acres and contains two lakes, 40 miles of hiking trails, and 23 miles of bike trails. Equestrian and cross-country skiing trails are also a part of the park. Boating, fishing, kayaking, canoeing, and ice skating are all available on Pierce Lake and Olsen Lake. The park also boasts a 270-site campground with electricity, showers, toilets, playground equipment, and a boat launch. A concession stand and a small café at Pierce Lake are open seasonally. 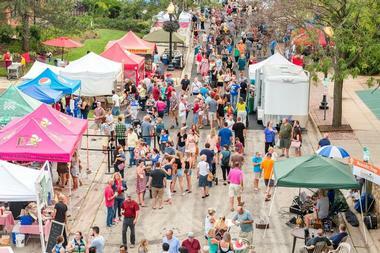 Every Friday afternoon during the summer, the Rockford City Market is held along Water Street in the downtown area of Rockford. This open-air market showcases locally grown fruits and vegetables as well as locally produced meats, cheeses, eggs, and herbs. Other vendors sell fresh-baked goods and snacks. Arts and crafts produced by local artisans are also available. Live music is played under the pavilion, and guests who stop to listen can also sample local coffee and beer. Demonstrations for children are also a part of the market. The market is open from mid-May through September, starting at 3:30pm on Fridays. 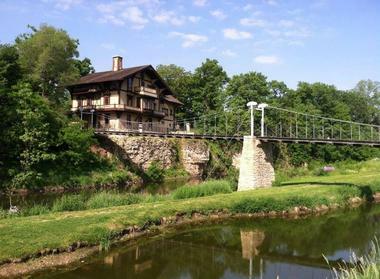 The history of Rockford began at the property now known as Tinker Swiss Cottage. 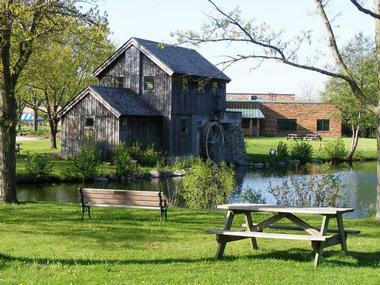 The complex includes the founding site of the city of Rockford, a Native American mound, and the Tinker Cottage. The cottage was the home of the Tinkers, a prominent family in Rockford’s early history. The cottage has been preserved as a museum and contains original furnishings, household items, clothing, and artwork from the late 19th and early 20th centuries. The grounds also contain a barn and carriage house original to the property. 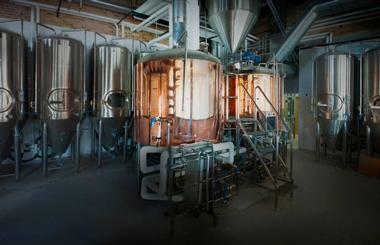 Guided tours are offered all year round from 1:00pm to 3:00pm, Tuesday through Sunday. 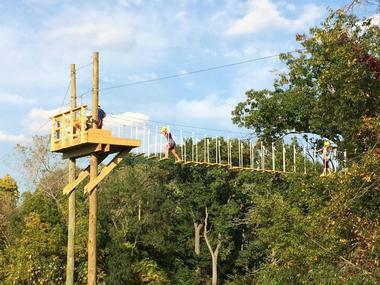 Zip Rockford provides fun and adventure for children and adults. Five different zip lines, in varying degrees of difficulty, can be found here. All zip line tours are guided by experienced guides who put safety as their top priority. The introductory tour lasts approximately 1.5 hours and is perfect for those who have never ridden a zip line or who might be afraid of heights. Longer tours on faster lines are also available for the more experienced or adventurous. Zip Rockford is open daily from Memorial Day through Labor Day. All riders must weigh at least 60 pounds and stand at least 42” high.